Keep your jewellery box up to date with this stunning piece from Dyrberg Kern. 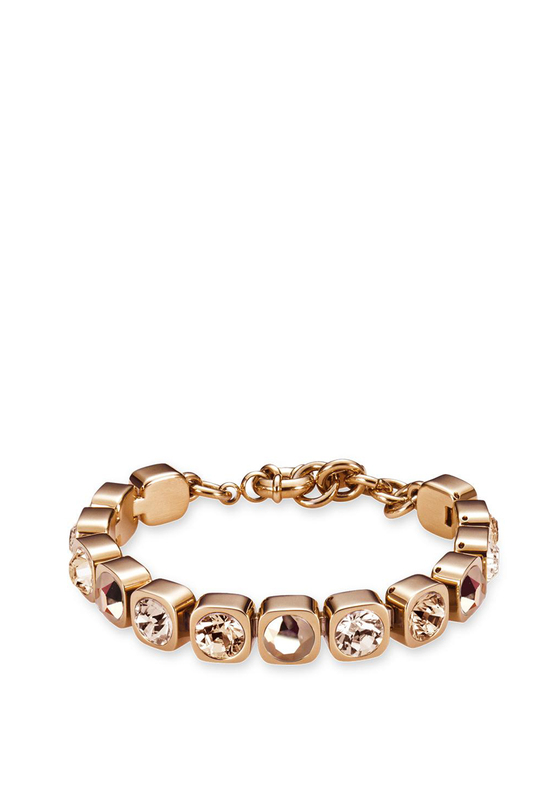 This amazing bracelet is rose gold with 13 crystal elements that adds the perfect amount of sparkle. With a spring clasp closing this bracelet will sit beautifully on your arm. Team this item up with the Ansel earrings in rose gold also from this amazing collection.